Comcast network and operations VP, Tony Werner, has responded to Minnesota senator Al Franken's request to investigate the company for questionable net neutrality practices. According to Werner, Comcast is not prioritizing Xfinity traffic -- the company's IP television service -- which is the heart of the debate. In April, critics slammed Comcast for allowing its Xfinity app for the Xbox 360 to bypass the 250GB data cap imposed upon its subscribers. 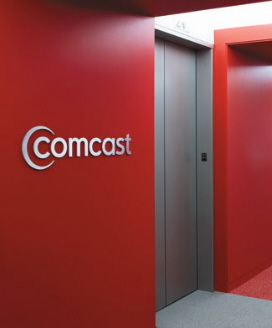 While Comcast customers can enjoy an all-you-can-eat Xfinity buffet, other Internet-based video services such as Netflix and Hulu remain subject to the 250GB limit. Critics argue that the combination of its artificial data cap and preferential Xfinity treatment gives the service an unfair advantage over third-party television and movie streaming services. In effect, this makes Xfinity an obvious choice for any Comcast subscriber. Notwithstanding his other arguments, Werner's focus on prioritization does appear to be a bit of a red herring. The real debate is the preferential treatment of Xfinity rather than the literal meaning of packet prioritization; special treatment could be every bit as detrimental to an "open Internet" as prioritization. In the case of networks, "neutral" may apply to many different aspects so there are many opinions on the matter; however, the FCC does provide a set of guidelines. Ultimately, it will be up to the DOJ and FCC to figure out if Comcast is violating those rules. While it is clear that Xfinity traffic is being treated differently than other Internet traffic, Comcast argues that Xfinity simply isn't Internet traffic to begin with. The cable company contends that, by virtue of Xfinity being exclusively available only to Comcast television subscribers, Xfinity is an extension of its cable television service. Mr. Werner also makes the argument that Xfinity is served over a separate network. He draws a distinction between QAM (the delivery system for cable television) and Internet traffic versus the special "IP network" used for the delivery of on-demand and Xfinity video. Werner's thinking is further cemented by the fact that Comcast treats devices like the Xbox as set-top boxes -- a fact that is spelled out in its terms of service agreement. What are your thoughts regarding Xfinity?